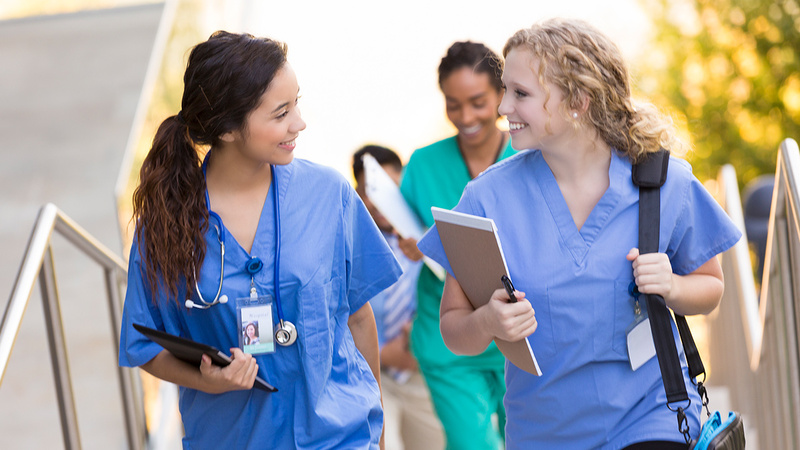 Throughout your career as a nurse, nursing continuing education is something that simply has to be done in the interest of licensure, but it can be so much more. Learning is lifelong, and for nurses who need to keep up on the latest evidence-based practice guidelines and new developments in various areas of nursing, medicine, and healthcare delivery, continuing education for nurses is a sure route to accumulate such specialized knowledge. Professional development is a broad term, and in nursing it has to do with gaining new knowledge, learning new skills, increasing your level of professionalism, and otherwise feeding and watering your nurse’s mind. If you're an ICU nurse, taking CEU courses that solidify your understanding of specific knowledge areas of your specialty is definitely prudent. You may brush up on something you feel rusty about, or you might explore new information that’s emerging on the scene. Professional development can also come in the form of attending webinars, seminars, and conferences that either directly address your area of specialty practice or open your eyes to new concepts and ideas. Many nursing certifications require a high number of annual CEUs in order to maintain certification, so paying attention to this sort of professional development is crucial, especially if your certification is important to you personally or required for your current position. When you take CEU courses, you don’t simply have to always pursue CEUs in your own area of nursing practice. Sometimes moving outside your comfort zone can be just what you need to open your mind and expand your understanding. Let’s say you work in peri-operative nursing, and you almost always take continuing education courses related to peri-operative care. This is a sensible approach, and anyone could readily understand your reason for doing so. However, maybe you’re tired of the same old surgical educational offerings and you decide to look further afield. A CEU course on hospice symptom management might help you to understand an area of nursing that’s fairly foreign to you. Or perhaps a pair of courses on the benefits of creative visualization and meditation open your eyes to ways in which nurses are branching out and incorporating holistic modalities into their practice. You may not feel it’s appropriate to use visualization in your workplace, or maybe you could actually help calm a pre-op patient by leading her in a 2-minute guided visualization prior to being anesthetized. Expanding your repertoire of knowledge can be simultaneously enlightening, professionally interesting, and personally fulfilling. Continuing education doesn’t need to be a boring chore. In fact, it can be a doorway to new ways of seeing the world and new developments that may otherwise have passed you by. Since CEUs are part and parcel of almost every nurse’s licensure requirements, making good use of the experience is wise. Why not focus on taking continuing education courses that are interesting, intriguing, outside your comfort zone, and inherently good for your own personal and professional development? Nursing is a dynamic profession with many moving parts within a larger healthcare system built upon the shifting sands of medicine, technology, and human health. Use continuing education to your benefit by exploring areas of our profession and the healthcare universe that open your mind and feed that part of your nurse’s mind that is hungry for learning and new experience.